The Fast and the Furious 7 has come to cinemas in Sri Lanka. 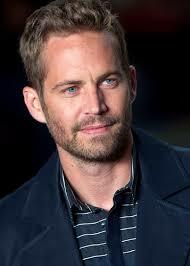 Although the trailer focused on its usual buildup, nearly all of the attention is focused around the demise of Paul Walker, one of the lead actors of the Fast and the Furious franchise. It was a tragedy when Paul Walker and Roger Rodas were involved in a car crash. It’s a harsh lesson about the importance of having insurance. Universal pictures claimed for a $50million Key Person Insurance payout. This is to cover various elements such as the loss of a high profile star, cost for getting replacements, production delays, time off taken for cast and crew to recover from the tragic incident etc. Even in Sri Lanka, there are individuals who work in large companies who apply for key person insurance or life insurance in order to protect those who are most important to them. At this point, we just want to say thank you: Thank you to Paul Walker for his amazing work in the Fast & the Furious franchise, for he has inspired millions around the world to take a look at the glitz & glamour of cars. In a cruel twist of fate, his life was tragically cut short. However, he has lived a life worth living.